Congratulations goes to Dr. Brent McLaughlin, now Rev. McLaughlin, who was ordained at his Beaverton House Church on March 10, 2017. 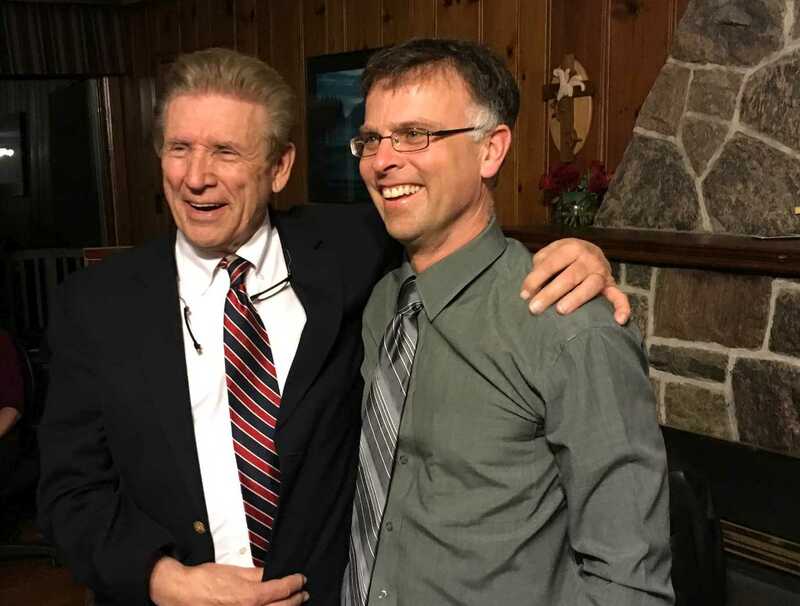 The local veternarian received his ordination through GWEA's ministry, and the ECA (Evangelical Church Alliance) Ministerial Fellowship of Canada. Rev. McLaughlin is known locally for his remarkable ministry with animals, and is gifted with the Holy Spirit and the "signs following" (Mark 16:16-17). For the latest testimonies of Brent's ministry see: "We Minister to People and Animals," "Call Your Vet!" and "Cow's Foot gets Miracle Healing!" If you would like to visit or attend Rev. McLaughlin's House Church in Beaverton Ontario, click here for more information. 1. To become a licensed or ordained minister through GWEA, applicants must meet the educational requirements and are required to provide an adequate background for effective ministry. 2. GWEA Students are required to take Ministry Courses and meet once a month for fellowship, questions, teaching and ministry. 3. To learn more of the process of how to become a licensed or ordained minister through the GWEA and ECA ministries, please contact Rev. Williams.